Hybrid-metal 7-inch tall action figure. Gattai Rayguard features magnetic joints and optional hands. Customize your own look with multiple accessories and a sword! Gattai Rayguard arrives in the Dynamite Action lineup. 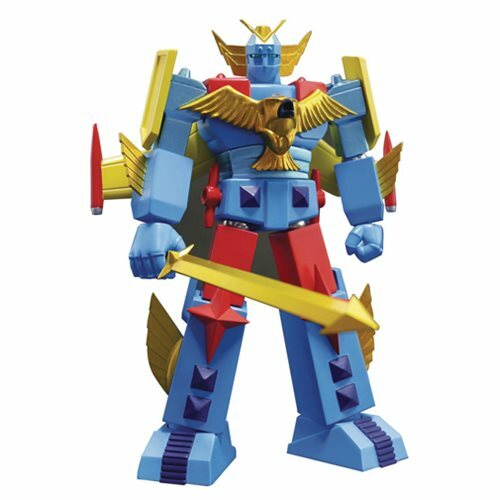 This hybrid-metal Dynamite Action GK Limited Gattai Robot Rayguard Action Figure stands around 7-inches tall and features magnetic joints. Customize your own look with multiple accessories like 3 interchangeable hands and a sword!